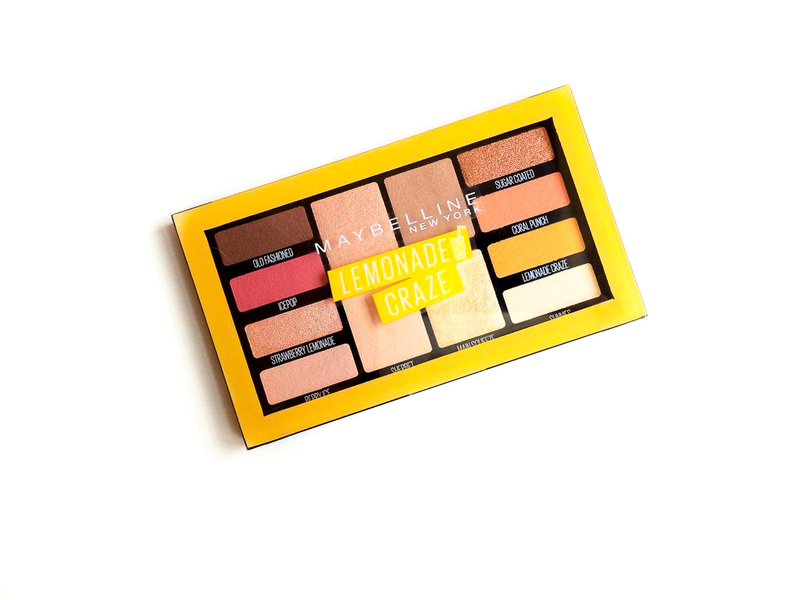 I talked about this palette in one of the NEW In Beauty posts I did recently it is the Maybelline Lemonade Craze Palette which I’m going to review for you today. I have to say, I never use drugstore eyeshadows, I think is something you might have noticed from my #MakeupMondays , I usually don’t like the quality of them, even when they are pigmented I find there is something in the vibrancy of the shadows that I never like. I’m also not a huge eyeshadow lover because having hooded lids I don’t usually experiment with much, that being said I also want to do more affordable tutorials for you so here I am experimenting with this palette. 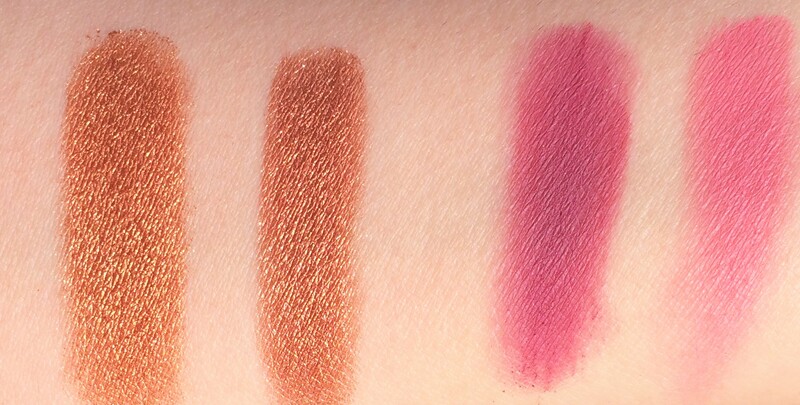 Do you have any drugstore eyeshadow recommendations? I’d love to try more. The packaging is very cute: the palette is quite sleek but nothing fancy, I like that you can see the shades from the top but it doesn’t have a mirror. 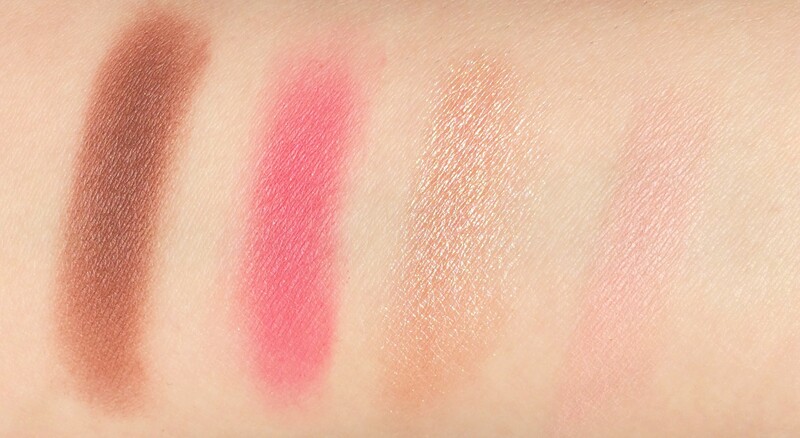 The shades on the sides are super tiny though and they are a bit tricky to pick up without going all over the palette. For some reason the Italian version of this palette looks slightly different, the shades are the same but the shape is different. 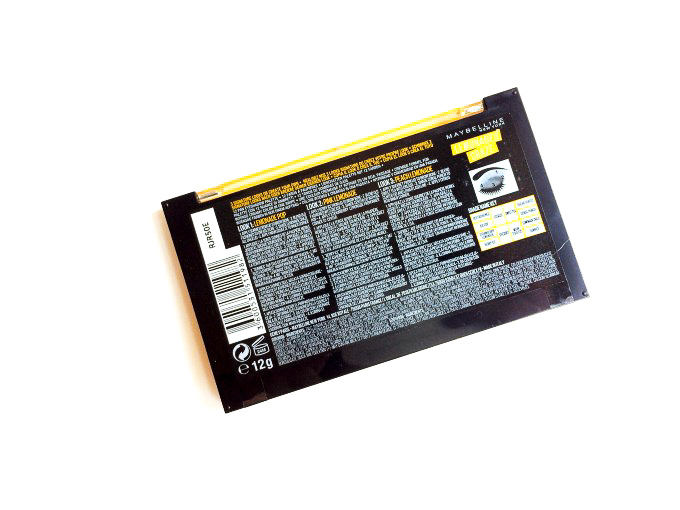 It has a very faint scent of lemon which is such a nice touch, it’s very delicate and you won’t feel it unless you are really close to the palette. There are eight mattes and four shimmers. All the shades have a light to medium pigmentation, you definitely have to build them up but they don’t have a lot of fall down and they are not patchy. You have to use the shimmers with your finger (or with a wet brush) otherwise you won’t get any pigment. Once you apply them the shades Sherbet and Berry Ice very similar, same thing for Strawberry Lemonade and Citrus. The shades really complement each other and they blended quite easily but you really have to build the intensity. With a primer they last about 7 hours before fading. The shade Sugar Coated is very similar (slightly redder) to the shade Meet Ya from the Marc Jacobs Eye-Conic Multi-Finish Eyeshadow Palette. The shade Icepop is lighter and warmer but quite similar to Love Letter from the Modern Renaissance by Anastasia Beverly Hills. 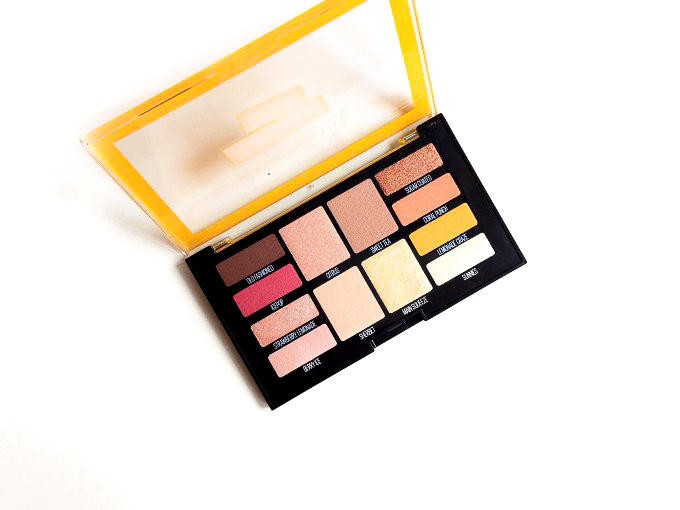 This palette is nice, I like the shade range although I think that some shades are too similar. The formula is ok but it’s not what I’m used to, I don’t like that you have to layer the eyeshadows to get some pigment. I don’t mind to use my fingers for the shimmer but I’m sure that it would be a problem for some people. That being said the palette is not a complete pass, it just doesn’t compare with the other ones I have. 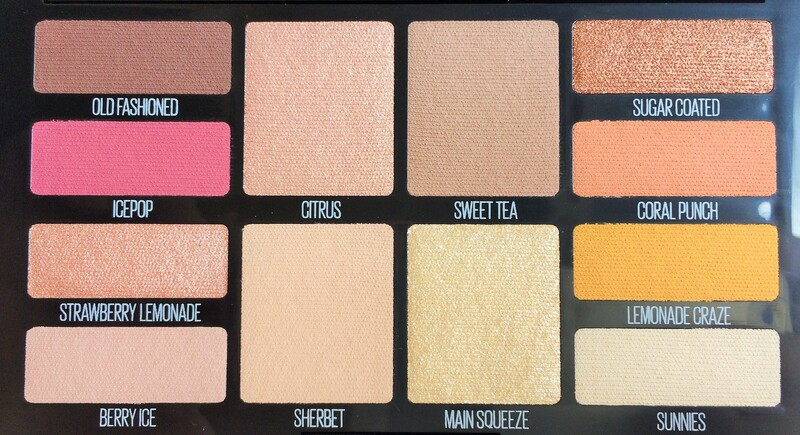 This palette looks AMAZING! I love the pink under your eyes! I love these colors! What a fun pallet! I don’t wear eyeshadow as much as I’d like to. Such a lovely palette. Love the swatches you shared. I love the addition of Ice Pop on your lower lash line! That is GORGEOUS! Although it might have taken some real effort on your part due to the lack of pigmentation, I think the results still turned out really pretty. I really like the second look. Very bright and summery. I really like the packaging. But I’m like you — my eyelids just don’t like eyeshadow. Ahhaah have you tried a primer? Beautiful colors! I love corals and peaches. It’s too bad that the pigmentation and formula aren’t that great, but I’ve come to expect that from most drugstore shadows unfortunately! The shade selection is fun though! Gorgeous shades in this, love the packaging also!